Bethesda has announced at QuakeCon today that The Elder Scrolls Legends is now in open beta and available to download and play on Windows PCs allowing you to join in the fun and quash any bugs or issues before the game is officially released to the public. 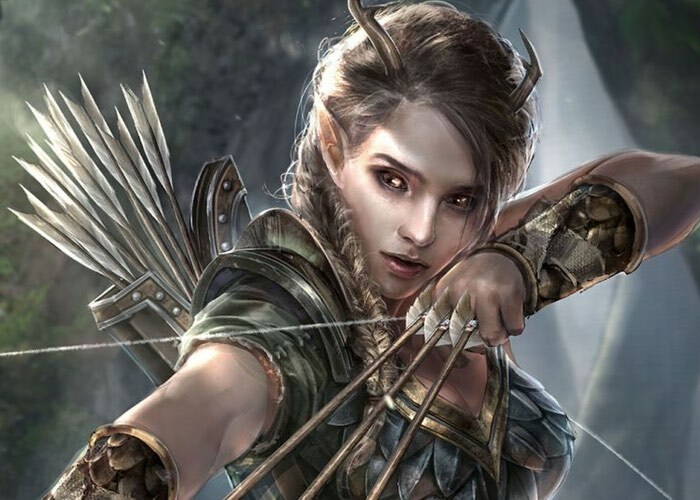 The Elder Scrolls Legends ages takes the form of a collectible card video game developed by Dire Wolf Digital and revolves around turn-based matches between two opponents. Watch the 60 minute video below to learn more and see Bethesda’s Pete Hines & Dire Wolf Digital’s Creative Director, Paul Dennen discuss and play through The Elder Scrolls Legends game. The cards are based on creatures, characters and lore found in The Elder Scrolls series. At the start of every battle, each player starts off with three cards and one magicka, which is used to deploy cards. When deploying these cards, the player can place them on one of two sides, called lanes. Lanes can have special abilities which alter the fields of battle. A card in one lane can either attack another card in that lane, or attack their opponent directly. If either of the two players take enough damage, one of their runes will shatter. When this occurs, the same player will immediately draw a card. The game consists of five game modes, which are a story mode, solo arena, versus arena, versus battle, and a practice mode. For more information on the new The Elder Scrolls Legends game and to download the open beta version jump over to the official website for details by following the link below.